CIMIC’s mineral processing arm Sedgman has secured a contract from the QCoal Group to deliver engineering, procurement and construction (EPC) services at the company’s Byerwen Coal Mine in Central Queensland. 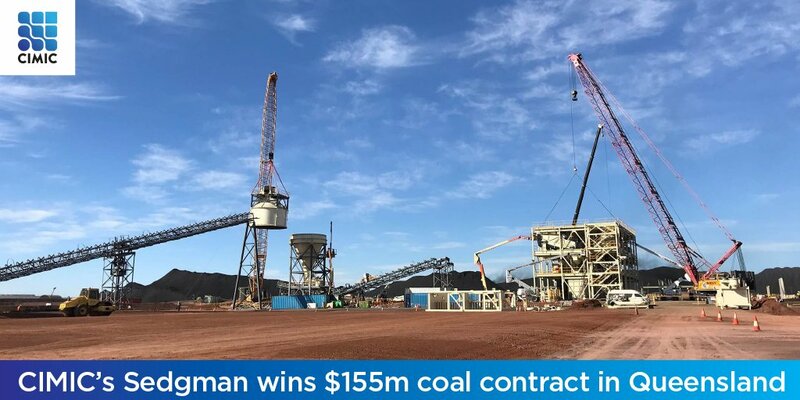 The EPC contract will see Sedgman deliver an expansion on the first phase of the project, which the company was awarded in February 2018, and includes the duplication of the existing coal handling and processing plant. CIMIC Group Chief Executive Officer Michael Wright said the $155 million contract continues CIMIC Group’s long standing relationship with QCoal Group which began more than a decade ago. “The CIMIC Group has a long standing and successful relationship with QCoal which started in 2007, providing EPC services through Sedgman and mining services through Thiess,” Mr Wright stated. Sedgman Managing Director Grant Fraser said early works have already commenced and the project will complete in early 2020. “We are pleased to continue our strong, long-term relationship with QCoal and look forward to assisting with the expansion of the Byerwen mine in a timeframe that optimises QCoal’s benefit,” he concluded.